On August 25th during rally in front of Consulate General of Russian Federation in San Francisco letter was delivered to the consulate. The recent developments in Armenia evidenced the truth about Russian policy in Armenia. Most Armenians clearly understand that Russia has colonized Armenia economically, militarily and politically. Fulfilling her imperialistic ambitions, Russia does play a destructive role in regulation of Artsakh (Nagorno-Karabakh) conflict between Armenia and Azerbaijan. Russia is a part of Minsk group and clearly acts against international treaties, selling weapons to Azerbaijan and compounding its aggression in Artsakh. Russia manipulates the war between Armenia and Azerbaijan in order to benefit from both sides. Under the cover of the “Strategic Partner of Armenia,” Russia took control over the strategic fields of the economy, natural resources, entire electric and gas system, as well as the air defense system of Armenia. Russia has continued to taint the progress and development of Armenia and Armenians. Russia supports the criminal and corrupt regime of illegitimate president of Serge Sargsyan, who keeps Armenians in poverty. Additionally, militants of Russia’s 102 military base went unpunished after killing Armenian families in Gyumri. Finally, it is Russia that named the heroes of Sasna Tsrer “terrorists”, when vast majority of Armenians rejoiced and united against the criminal regime of Serge Sargsyan. The Armenian government and Serge Sargsyan act as agents of Russia, serving exclusively Russian interests. 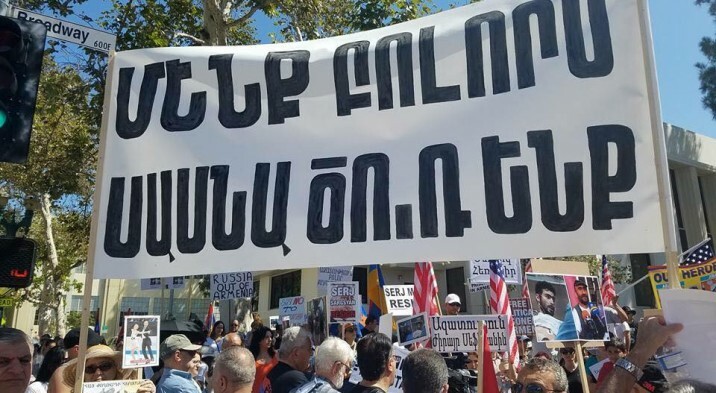 Russia should know that the vast majority of Armenians all over the world will not tolerate Russia’s and Sargsyan’s actions against the national interests of Armenia. Armenians will not allow the revival of “Soviet Armenia”. Armenia’s sovereignty is not for sale. 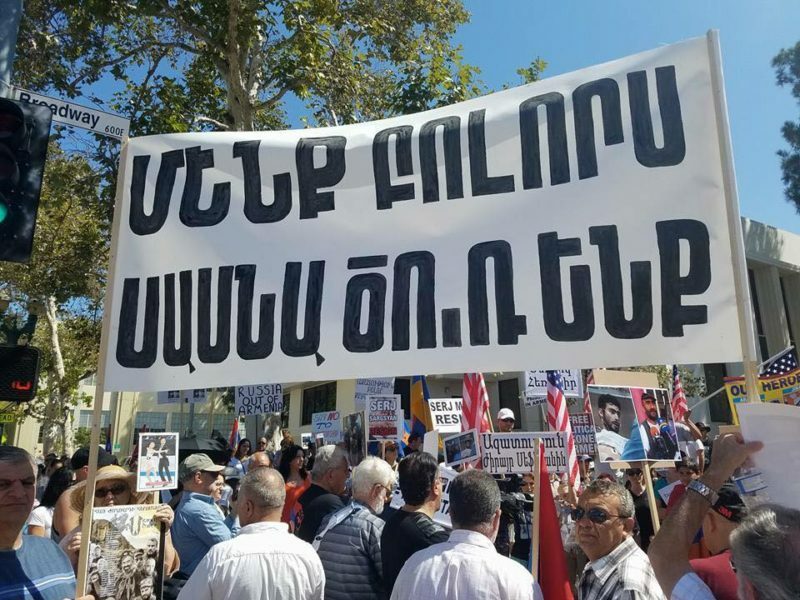 Armenian people will not tolerate the criminal regime of Serge Sargsyan and Russian imperialistic ambitions.